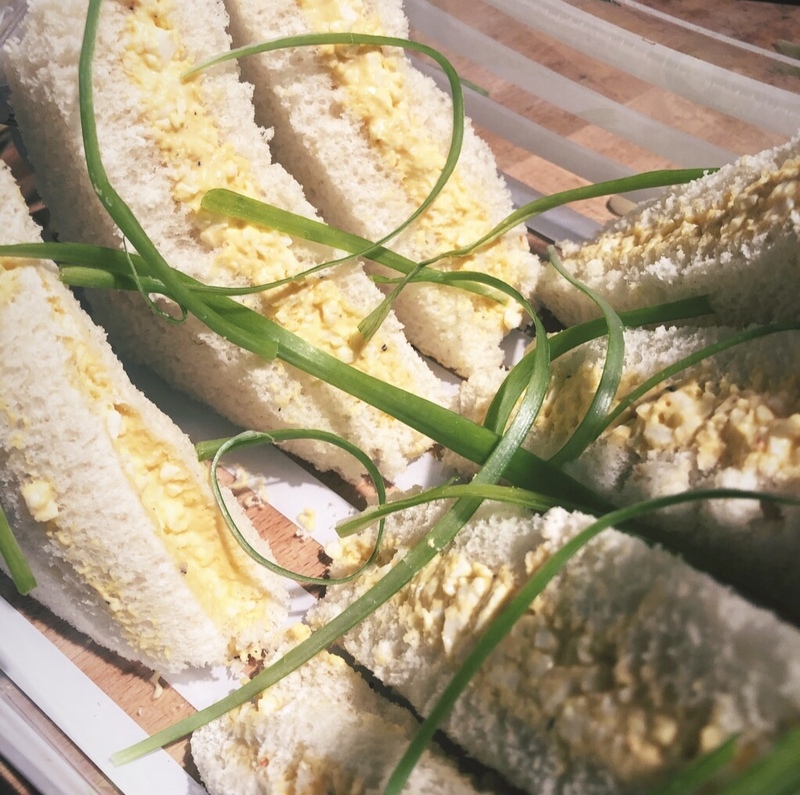 I made these sandwiches a few days ago and I can’t believe how easy and delicious they were. I’m talking insane amounts of flavor in an insanely short amount of time. You just need a few ingredients and the possibilities are endless! If you’re in a hurry you can just boil the eggs for 8-10 minutes. Or, you can do what I do. I put the eggs in enough water to cover them, put the lid on and turn the flame on high. Once the water comes to boil I turn the stove off but leave the lid on and just let the water and eggs come to room temperature on their own. This makes sure I don’t over cook my eggs because I tend to forget things on the stove, because all those kitchen timers I buy are mostly for decoration. Once the eggs come to room temp peel them. I actually use only 3 whole eggs and then for the other two I only use the whites, because cholesterol! Using a fork mash the eggs. Then add the garden veggie cream cheese, mayo and seasoning. If the mixture looks a little dry you can add al little more Mayo, and if you don’t want it to be too spicy you can add less sriracha, but what’s the fun in that? This mixture tastes great on multigrain bread, but any bread is fine really. I don’t have to tell you how to make sandwiches with the mix, right? The only thing I’ll insist on is don’t be frugal with the filling. There should be a solid layer between the bread! You can add sliced tomatoes or shredded lettuce to the sandwiches, but make sure you use tooth picks to make sure the bread doesn’t slide off the sandwich. That’s all there is to it! I have another egg salad sandwich recipe up, and I love it, but this one is definitely up there in terms of flavor!